This is a graphic notation piece of music. Graphic notation is essentially the use of visual symbols that for some composers better represents their conception of music than does traditional music notation. I think that graphic notation is as much visual art as it is musical directions. 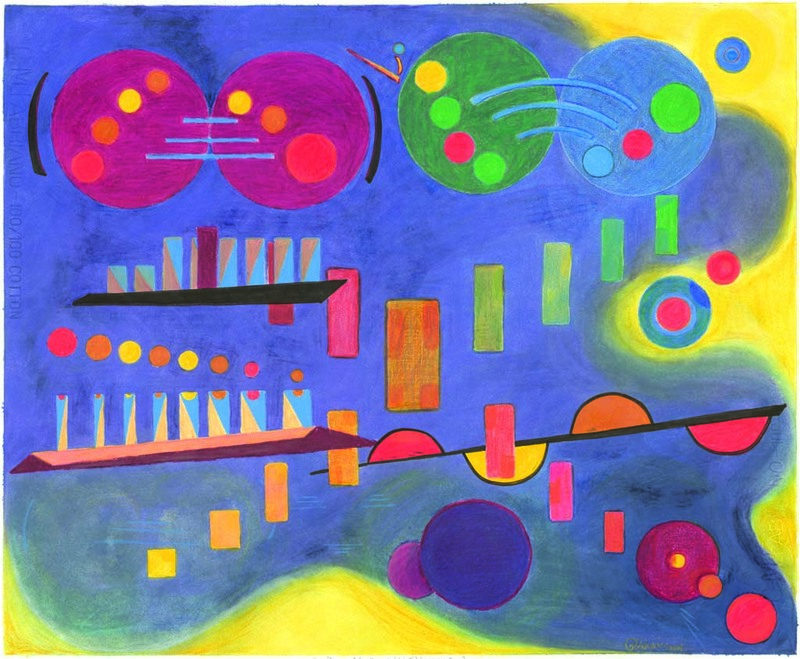 This piece was inspired in part by the "Listening Scores" of Gyorgi Ligeti and the "painted music" of Wassilly Kandinsky. I came up with this after playing a C minor chord on our piano. To understand parts of this work, consider the circles to be chords. The two large purple circles in the upper left-hand corner represent the opening C minor chord. The small colored circles are the individual notes of that chord.